Now, your turn is coming up to buy into one of the most successful card and gift store models around. 23 YEARS. NOW, YOUR TURN. 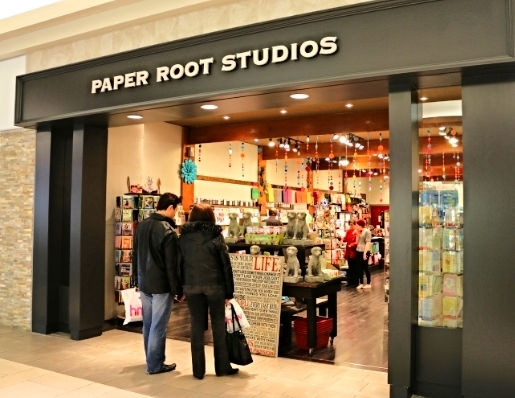 The first store under the trade name Paper Root Studios was opened by Elena Evanoff and her partner, Doug Taplin, in Inglewood, SE Calgary in Summer of 1992. The store was moved a year later to Eau Claire Market in 1993. Ten years after that, the flagship store in Market Mall opened by Christmas 2003. The store was renovated early 2014. Twenty-three years later an opportunity for store licenses is being created. Now, your turn is coming up to buy into one of the most successful card and gift store models around.